Want to use Instagram Stories but don’t want everyone to see your Instagram Story? Want to hide your Instagram Story from specific people smoothly so they don’t notice that they are missing out on something? Instagram is a tremendous platform which gives an array of opportunities to decide how private or public you want to be, and what you want people to see. Instagram Stories is no different, and you might be fine with them seeing your regular posts, but want to prevent them from seeing your Stories by hiding your Instagram Stories from them. In this article, I’ll be teaching you how to block and prevent people from seeing your Instagram Stories, and restrict them to only be able to see your regular posts. 2. Tap the settings cog-wheel in the top right corner. 3. Scroll down to “Story Settings” and tap it. 4. Choose “hide story from”. Note: This will also hide your Live videos from the people you block. 5. Search for the accounts you want to hide your Stories from. 6. Tap “Done’” in the top right corner. It’s good to know that when you block someone from seeing your Stories, you don’t block them from anything else, meaning they can visit your profile and get access to your content. This of course also depends on if you have set your account to private and if they are following you or not. If you have a public profile, anyone that come across your profile can see your stories. If you have a private profile, only people who are following you can see them. If people are following you and you block them from seeing your stories (hide your Instagram Stories from them), they will still follow you but they won’t be able to view your Stories. If your story is appearing on a location or hashtag page after you’ve incorporated hashtags or locations in your Stories, you’ll see it at the top of the list of people who have seen your story. You can tap on the X symbol to the right of a location or hashtag page to hide your story from being showcased there. 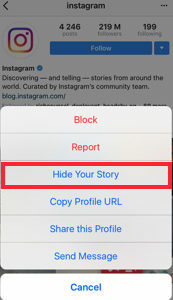 You can also hide your Stories directly when you are at the person’s account you wish to hide your Stories from. 1. Go to the user you wish to hide your Stories from. 2. Tap the three dots located in the top right corner. 3. Choose “Hide your story”. Also, the most obvious way to hide your Instagram Stories from specific users is to block them. Of course, blocking them means that they won’t be able to see any of your content, your Stories included, but at the same time, if you block hem, they’ll probably find out about it. With the feature that allows you to hide your Instagram Story, you can hide and unhide your Story as much as you want, when you want. 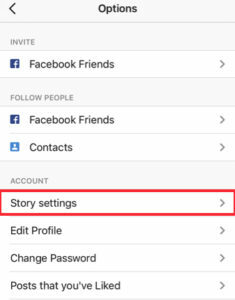 This allows you to hide certain parts of your Story that you don’t want specific users to see, but then unhide your Story when you are sharing content you don’t mind them seeing. 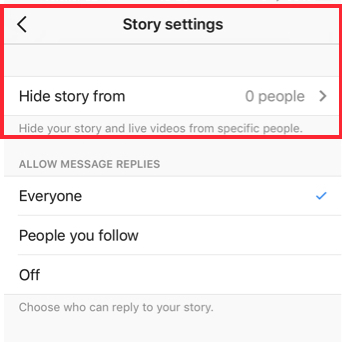 An important reason why Instagram decided to introduce this feature which allows you to hide your Stories is that Stories is a feature which is meant to be used to share in-the-moment, behind-the-scenes,un-cut and raw content from your personal life. Stories are meant to be used for people to share content, almost like a reality show of their own lives, but as such, you might not want people you don’t know very well or at all to look at it, and this is what the features allow you to prevent them from doing. Hiding your Stories from people you don’t want to see them can be a good option instead of blocking them completely. Are you using this feature and why are you using it? Let us know in the comments below!